Join us to celebrate the release of our own Ms. Kay Honeyman’s second novel, Interference! As a Congressman’s daughter in Washington, DC, Kate Hamilton is good at getting what she wants — what some people might call “interfering.” But when her family moves to West Texas so her dad can run in a special election, Kate encounters some difficulties that test all her political skills. None of her matchmaking efforts go according to plan. Her father’s campaign gets off to a rough start. A pro tip for moving to Texas: Don’t slam the star quarterback’s hand in a door. And whenever Kate messes up, the irritatingly right (and handsome) Hunter Price is there to witness it. But Kate has determination and a good heart, and with all her political savvy — and a little clever interference — she’ll figure out what it takes to make Red Dirt home. 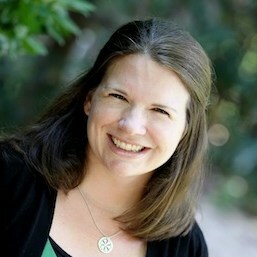 Ms. Honeyman grew up in Fort Worth, Texas and attended Baylor University, graduating with a Bachelor’s and Master’s in English Language and Literature. Her first novel, The Fire Horse Girl, debuted in January 2013. It was published by Arthur A. Levine/Scholastic and named a Booklist Top Ten Historical Fiction 2012-13 and Parents’ Choice Gold Award. Mrs. Honeyman taught 8th grade English Language Arts for many years at HPMS and currently serves the Raider ESL students. She also teaches creative writing at SMU through the unique Writer’s Path Program. Explore OverDrive through the Sora app!